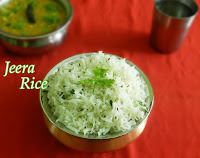 Jeera rice is the rice with cumin seeds. 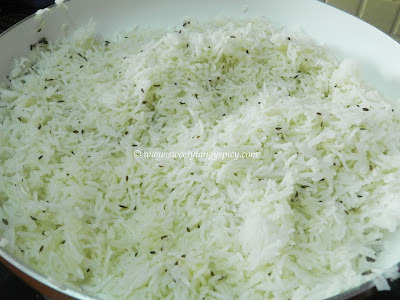 The presence of whole spices, cumin and ghee, make it highly aromatic. It is a very common, quick and easy rice variation. 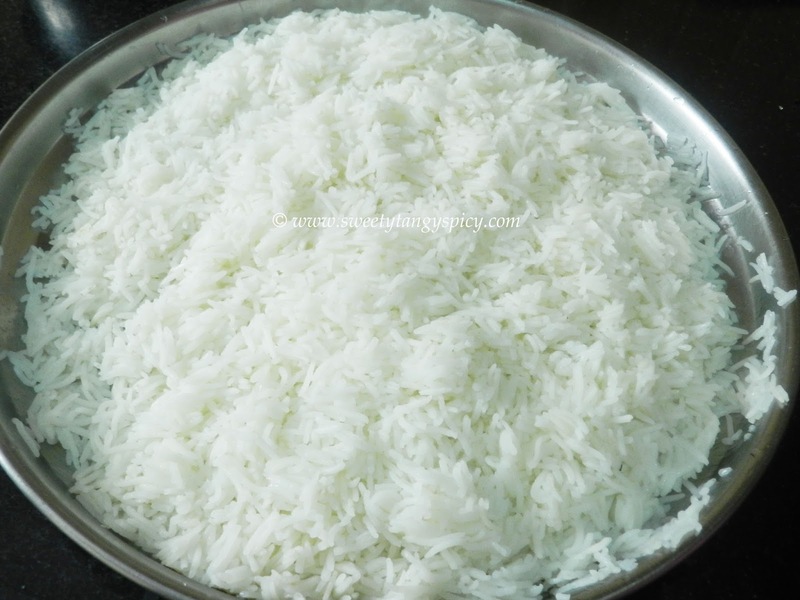 If you already have cooked rice, then this rice can be prepared in a jiffy. 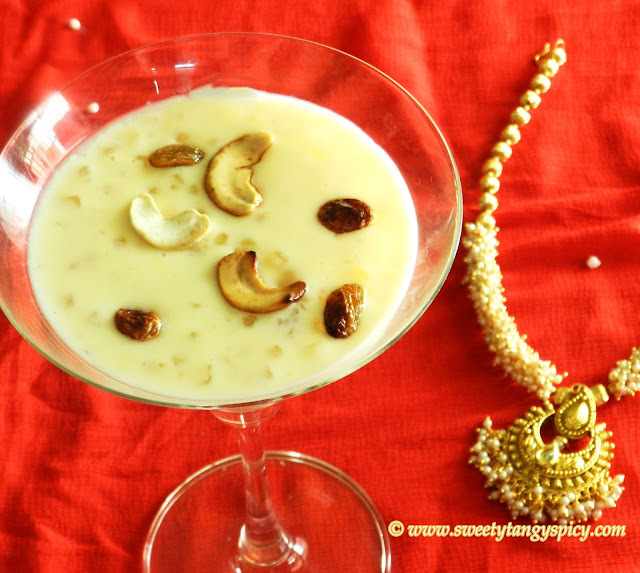 It is usually served with dal but you can use any spicy gravy of your choice. Here, in this recipe, I have flavored the rice with whole spices, ginger and garlic. 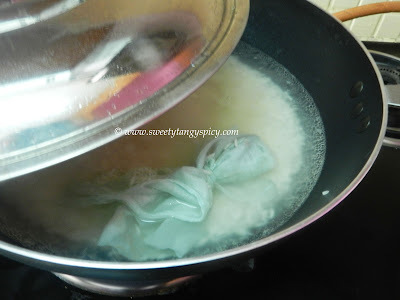 I made a bag of it and immersed in water while cooking rice. This will give a wonderful aroma to the dish and the annoying spices will be hidden. 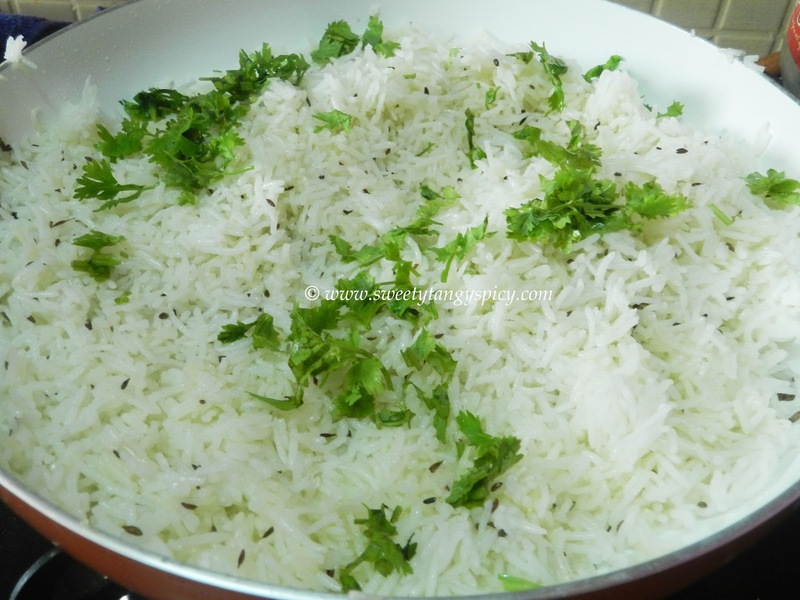 If you are going to prepare this with leftover rice, then use the whole spices while sauteing just before adding cumin seeds. Wash and soak rice in enough water for 20 minutes. After 20 minutes, drain excess water and keep aside. Heat 6 cups of water in a pan. Add salt and the spice bag and let it boil on high flame. 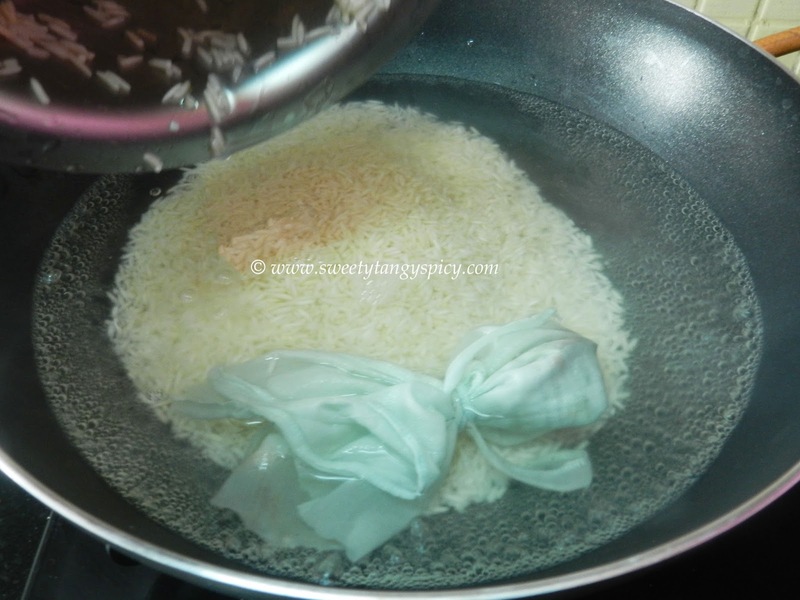 Once the water starts to boil, add rice and cook this covered on low flame till the rice cooked about 80 to 85%. 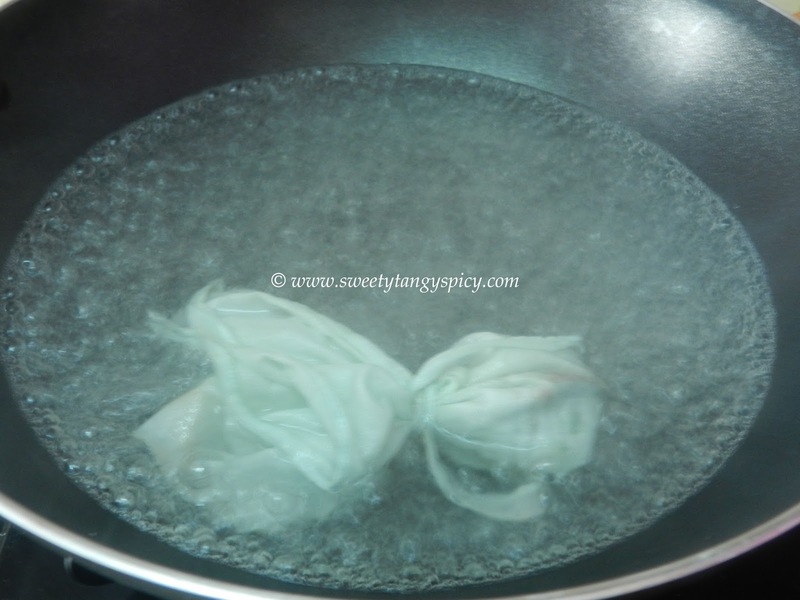 Discard excess water and immediately spread on a plate and allow this to cool down completely. 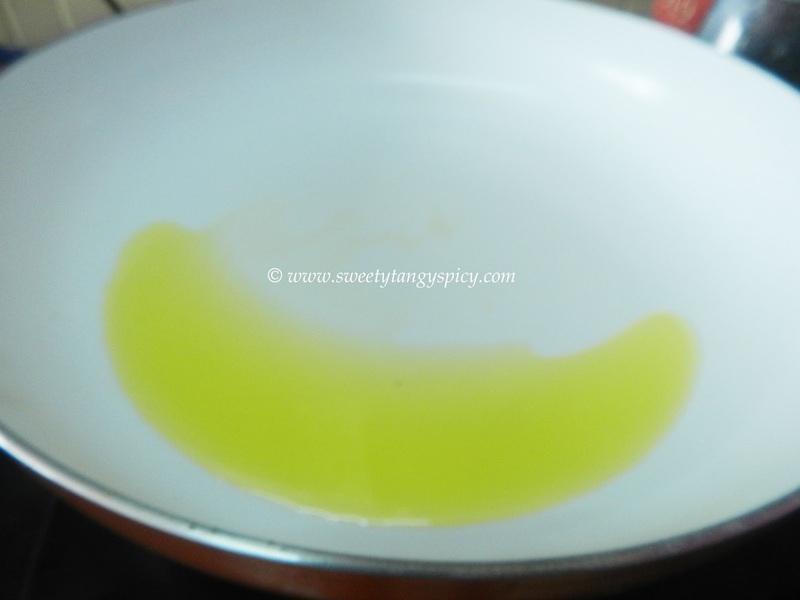 Heat two tablespoons of ghee in another pan. Add cumin seeds when the oil is getting hot. Saute for a few seconds till it crackles. 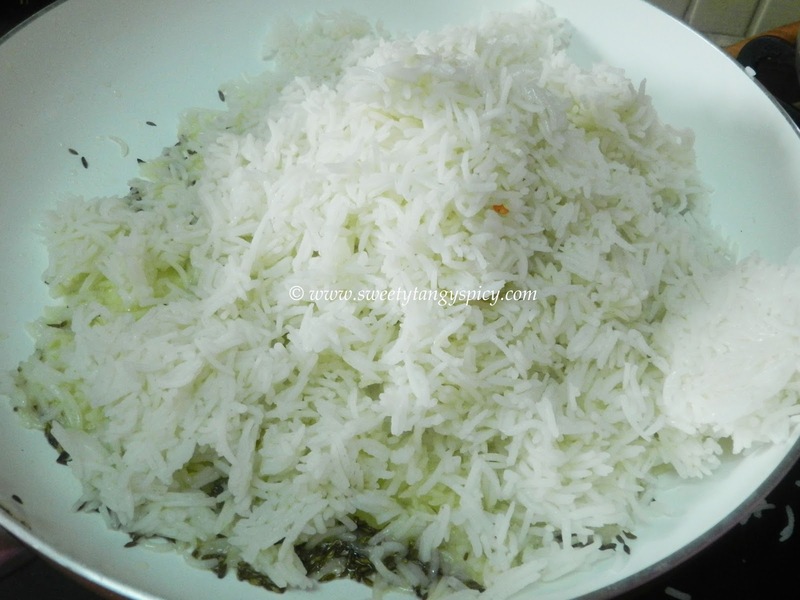 Add rice and mix well softly till the cumin and rice combines well. Add chopped coriander seeds. Keep this covered for three to four minutes and serve hot. 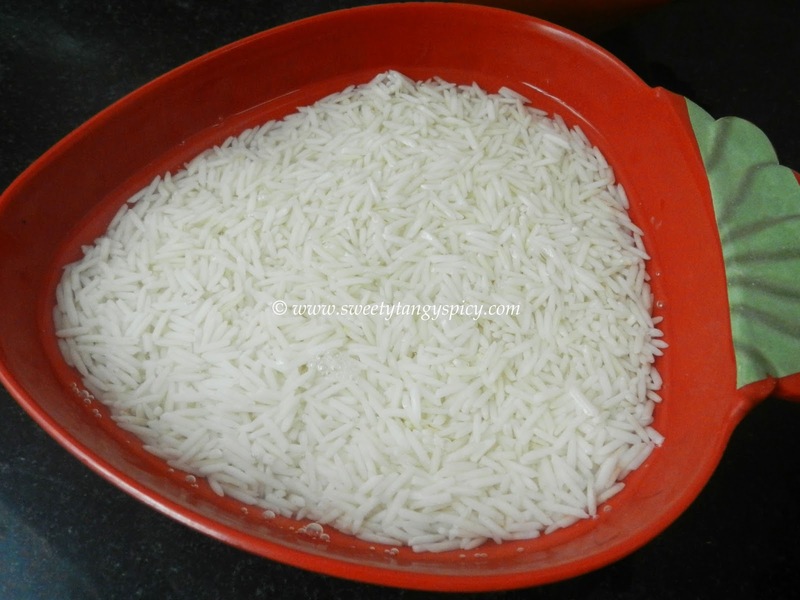 Rinse 1.5 cups of basmati rice in fresh water till the water turn clear. Soak this for about 20 minutes (or as per recommended on the packet). After 20 minutes, discard water and keep aside. 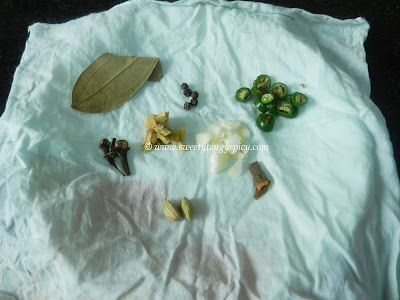 Take a clean cloth, and place 1 bay leaf, 2 cardamom, 2 cinnamon, 5 to 6 black pepper, a small piece of ginger chopped, a small piece of green chili, chopped, and 3 to 4 garlic cloves. We are going to add this in water along with rice so that the final product will be a very nice flavored rice. 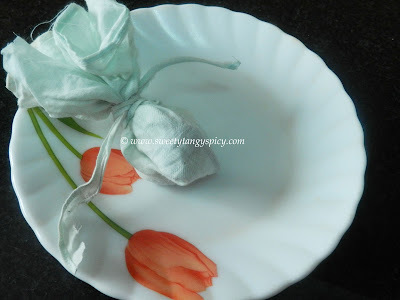 Tie tightly so that it forms a packet as below. Take 6 cups of water and add salt. Now put the prepared spice packet. Wait till the water boils. 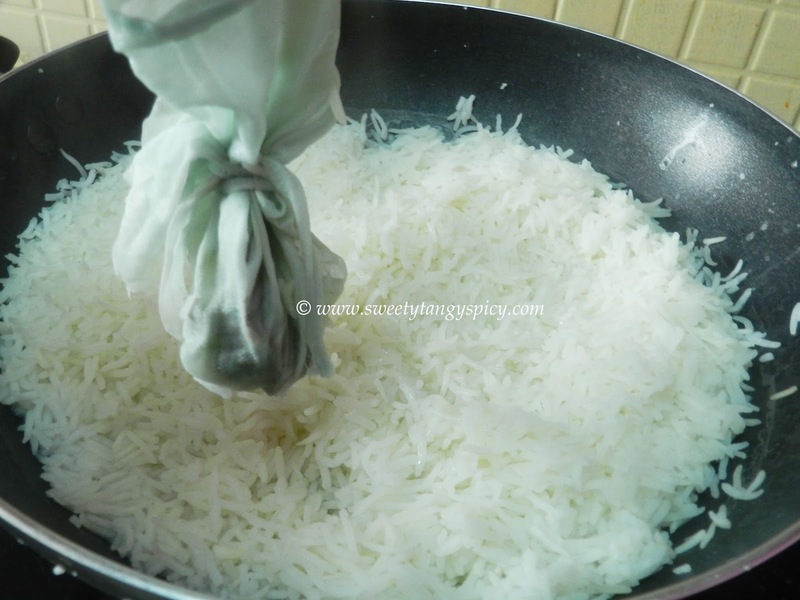 Add rice and reduce the flame. 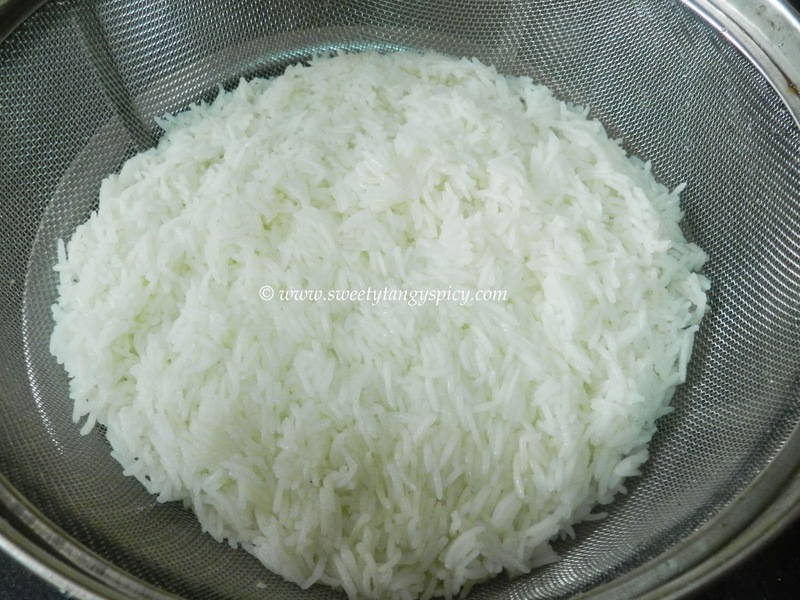 when the rice became 80 to 85 % cooked, all the rice will seen separated and will float on the surface. The rice will cook completely when it rests. 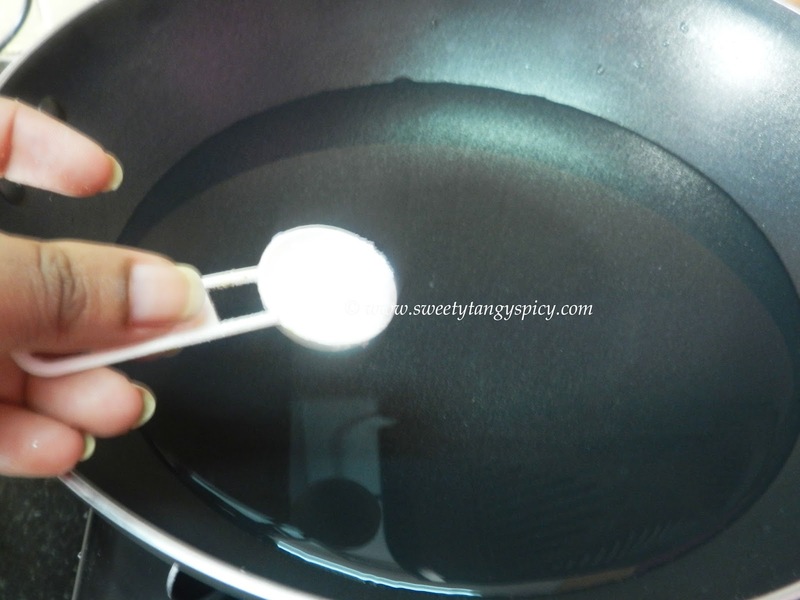 Switch off the flame and remove the spice packet. Strain and discard the excess water immediately. 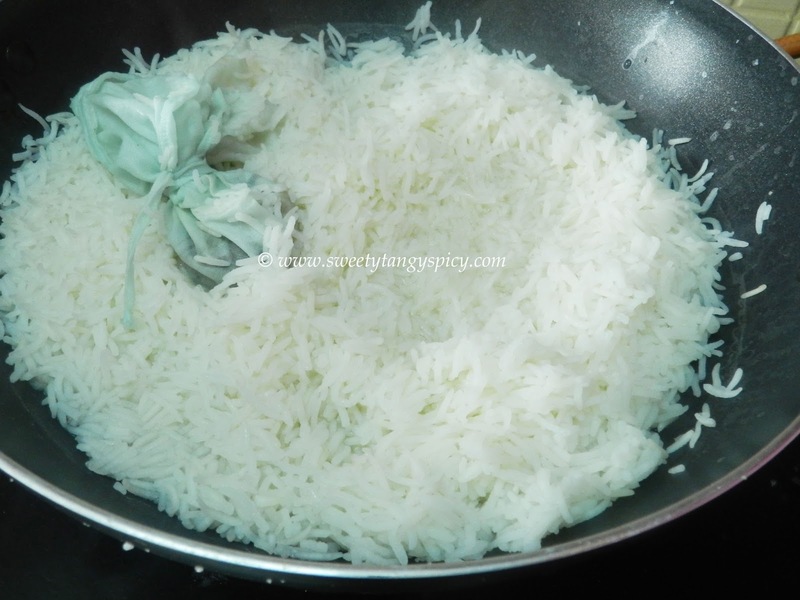 If you feel the rice is overcooked, add some cold water and stop cooking. This will prevent the further cooking of the rice. Spread this on a plate and let it cool down completely before you proceed. Once the rice cool down completely, heat 2 to 3 teaspoons of ghee in a pan. 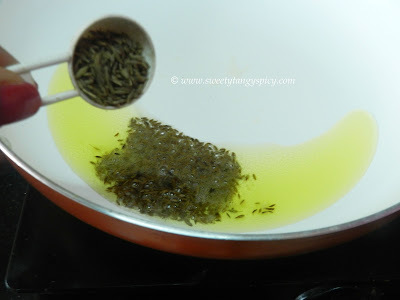 When the ghee getting hot, add the 2 teaspoons of cumin seeds. Saute for a few seconds. The cumin will start to splutter and a nice aroma will start releasing. Mix gently so that the rice does not break and the rice grains completely coated with ghee and cumin seeds. 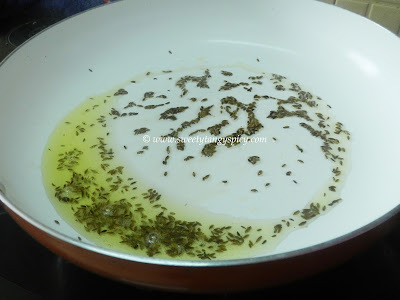 Add some coriander leaves and keep this covered for a few minutes. So that all the rice absorb all the flavors nicely. Serve hot with dal, salad and pickle. Do not over cook rice. If the rice is overcooked, then add some cold water and stop cooking. The rice should be cool down completely before use. You can add some onion and green chilies, if you like.